Delicacy of down, butterfly wings and water drops create an extraordinary picture. 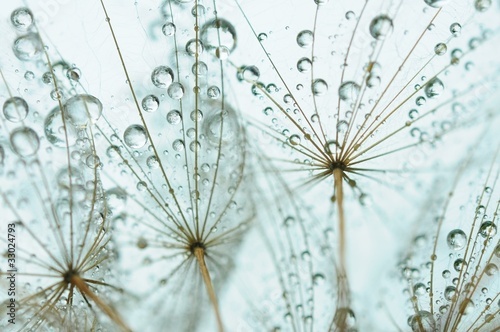 That’s how you can imagine dandelions sprinkled with dew in the morning. A photo wallpaper with such a beautiful depiction of this plant specimen can be part of your house. The motif will enliven the interior and add lightness and raciness.